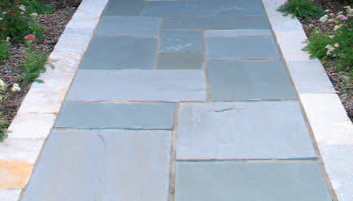 The variation of color and texture make Bluestone a unique attraction to pave patios, create steps & form paths. 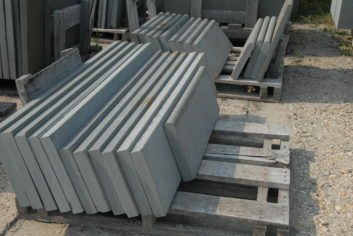 Two processes to create the Bluestone slabs result in two types of the product. *1 ton covers approx. 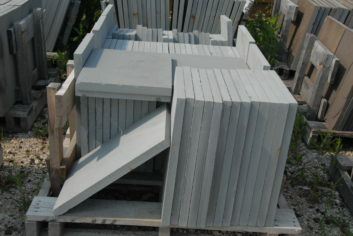 90-100 sq. ft./one layer thick. 2″ of torpedo sand is recommended under any flagstone. Delivery charges vary—see delivery rate sheet. 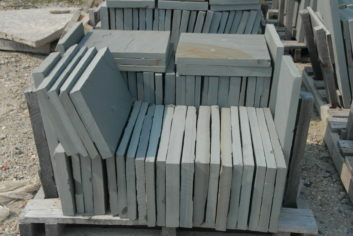 All patterned flagstone thickness is approximate. Many different sizes in-stock for customer selection. Photography Sources: Buechel Stone Corp., Northern Arizona Sandstone, Krukowski Stone Co. and Frens Stone.